Mexico has launched a proposal for adoption dog police retired. The animals are a great help to the police and the military forces of all countries. But there is a time in which they also removed and, sometimes, not find a home they love during their last years. The words of Renato Sales Heredia, the Security Commissioner of Mexico, the dogs can stay with a family as soon as they retire from their functions. There are many cases of dogs that, after retirement, were adopted by their former colleagues. But not all have the same destination. The first generation of police dogs, retirees in Mexico is headed by “Rosty”. He is an employee canine with nine years of impeccable service and multiple courses to detect drugs made in Colombia. As well observed by the federal police, Jorge Luis Aquino, until recently, were dismissed from their functions (not to say sacrificed at the end of its useful life). But, fortunately, this has changed. The police canine assigned to King David Villalobos, the dog of Tokyo, waiting to be adopted by your partner. He has two daughters and is looking forward to bring home and give all the love and care they deserve after their years of hard work and dedication. It is worthy of note that these police dogs, retired 9 or 10 years of age can still live for more 5 or 6 years. Tokyo and King did together several operations against the drug cartels. 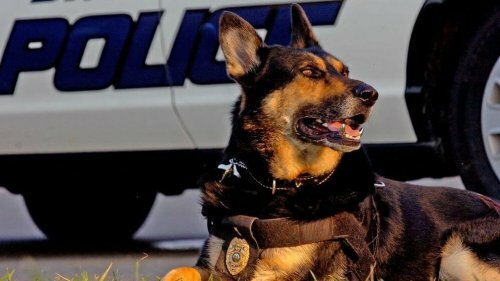 Despite the fact that both officers running out danger during the shootings, the specialty of the dog was to detect drugs, currency and weapons. Another case is that of “Claudia”. A labrador Golden retriever black, who was the faithful companion of the chief petty officer Carmen Durán for nothing less than 9 years. Together, they investigated more than 30 bomb threats in 2009. All this after an attack of organized crime in a public square in the city of Morelia, during the celebrations of the mexican independence. Today, they are recognized for what they are, the agents canines of the security service of the citizens. Therefore, they have the right to life. From now on, all those who wish to adopt dog police retired in Mexico, you only have to go to the Association responsible for the connection, with the love and willing to offer all that these dogs need. 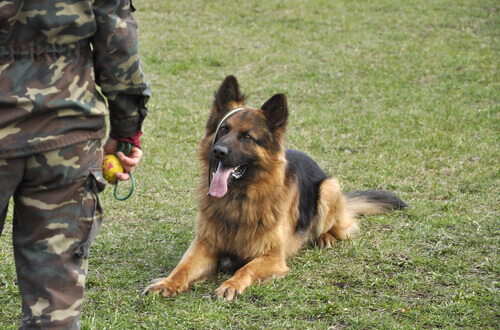 From 2014, the NGO “Retired Dogs 112” is the mediation between the agents canines of the security forces that are removed from service and adoptive families in potential. One of the most beautiful stories, from the foundation of this organization is Brian. He served for years and, physically weakened, he had to give place to their younger counterparts. This beautiful German shepherd from the black sediment had to endure several missions as part of the Spanish police, to retire. After, was adopted by Raphael and his family. All thanks to this NGO is dedicated to connecting dogs retirees with families eager to give them a home. According to the man, a native of Barcelona, his children have been identified the dog as a police officer and, therefore, as a hero. He was a veteran with more than a thousand battles and won the admiration for his feats. Brian took just two months to get used to being a pet, because during the process of adaptation of their personality of “police” came to light.